My mom has worked out at home since I was a little girl. Working out at home was more affordable than the gym and also really convenient. I took after her, and while I’ve tried a couple of gyms – working out at home is where I’m the happiest. Now we run an online healthy lifestyle brand together, Sorey Fitness. With that said – we both know it can be hard to get and stay motivated when you don’t have a community or scheduled meeting with a personal trainer. Since we’ve always planned our workouts together, we’ve found that support and accountability we need to stick to our goals. there are 3 major reasons you need to have an accountability partner!! It’s even better if that fit friend is also family! 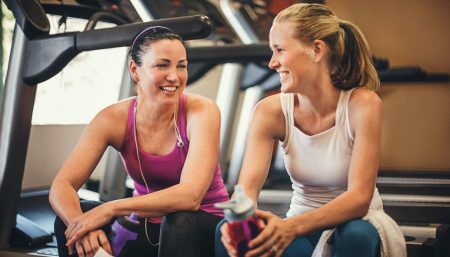 If you’re able to connect over healthy habits, you’re not only going to be more likely to follow through with them, but you’ll share the benefits of being in good health! Eating healthy and exercise has been linked to better sleep, more energy, less cravings, and we all know about the endorphins regular exercise creates! This one area can help bolster other areas in your relationship like communication and trust. Studies show that people are more likely to stick to a weight-loss program when they have support from someone! Plus, if your partner is local or a family member, you both can help the other one when it comes to social situations and food. 1. You’ll likely see even better results. We’re not saying competing against each other is a good thing, but if you know the other one is sticking to their habits and losing weight – you’ll want to keep up. You’ll also be able to see what is working for you and the other person and what isn’t. This objective approach to the other person’s progress can help you evaluate your own routines. 2. You’ll likely have more fun. Losing weight can be an isolating goal if your family and friends aren’t into healthy habits. If you have someone in the process of losing weight or that enjoys working out and eating healthy – you’ll not only enjoy that part of the relationship, but you’ll also have someone that can relate to others not understanding their healthy habits either. The cool part about being an accountability partner with someone is you both can set up whatever works best for you! For us – we like to workout at home, but we typically do the same program as the other one. That way we can talk about the workouts, how much weight we lifted, and so on. We also talk daily about our workouts and food by text message. 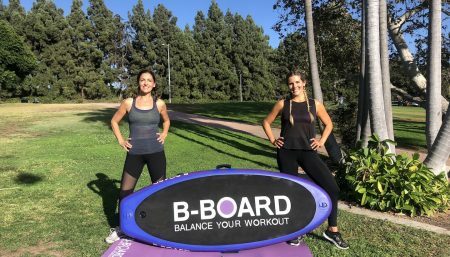 Here are 5 ideas that may work for you and your fit friend! 1. Set a time to weigh each day or week. I personally prefer to weigh each day because I don’t like to see the number go majorly up or down. I also want to see slow trends. My mom prefers to weigh once a week though. So we just report to each other each Friday our weigh-in! Set a time you know each of you will text per day – maybe it’s first thing in the morning or right after your last bite of food at night. Whatever works best for you, but make sure it’s daily! If you notice a big up or down on the scale, are struggling with a craving or whatever – reach out to the other for ideas. We hear people say, “I want to lose 25lbs before Christmas” about 2 weeks out from the holiday often. This isn’t realistic or safe. We suggest setting a small goal like 1-2lbs per week and letting your accountability partner know. We also don’t recommend setting a final deadline. Yes, it’ll be awesome when you hit your goal weight or run that marathon — but it doesn’t stop there. Having someone cheer you on helps you feel empowered and on track. Make time each week to celebrate the small wins each of you had! We believe using this system helps you not only hit your fitness goals, but you’ll also enjoy it much more too! Do you have an accountability partner? Does it help you?